Ethiopia is an African nation located on the continent’s Eastern Horn (Horn of Africa). It is home to over 74 million people, and aside from Nigeria, contains the highest population in Africa. Many historians regard Ethiopia as the place of human origin as the country holds the distinction of being one of the oldest nations in the world. Take a hike along the Simen mountains in one of many unique variety of national parks. Go to southern Ethiopia to get a glimpse of Lake Chamo, and also to learn a little about how ancient tribes got on. Check out Ethiopia’s capital Addis Ababa for some shopping. While you're there, visit the Addis Ababa University, which is Africa's largest University. Your trip to Ethiopia is incomplete without trying ‘Injera’, sponge-like sourdough often served with soup. Learn a little Amharic, Ethiopia’s national language, for your dealings with the locals. Ethiopia is also for the most part low-crime. Usually, western Ethiopia is the best place for travelers due to lesser known conflicts. Be vigilant and careful in the areas that lay in the borders with Sudan and Kenya. These have been periodical hotbeds of crime. Be careful of people who may drum up a pity story to dupe you out of some cash. Don't be afraid to explore places that are deemed safe for tourists. Ethiopia has seasonal weather so please do check up on the best time to visit Ethiopia before planning your tour. 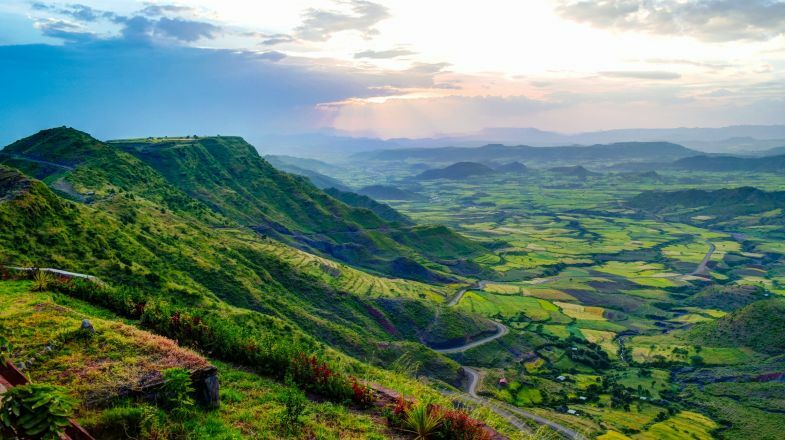 And if you’re still hunting for more things to do and places to explore in Ethiopia, do check out our Ethiopia Travel Guide for more information.